DAVOS – South Africa will support Zimbabwe in whatever way it can, but within the framework of what it is able to provide. 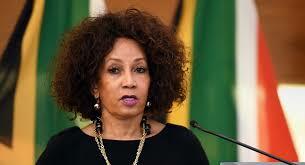 International Relations Minister Lindiwe Sisulu said on the sidelines of the World Economic Forum annual meeting in Davos, Switzerland, yesterday that South Africa was keeping communication channels open with its southern African neighbour. “We think that Zimbabwe is in an unfortunate position where large sections of the people are unhappy and expressing their unhappiness very publicly in the streets,” Sisulu said. South Africa reportedly turned down a request from Zimbabwe for a $1.2 billion (about R16.6bn) loan in December. South Africa is Zimbabwe's biggest trading partner. Last week, Zimbabwe erupted in countrywide anti-government protests after President Emmerson Mnangagwa hiked the fuel price by up to 150 percent. The government said the hikes, meant to tackle fuel shortages, were part of the government's reining-in of inflation, shrinking the budget deficit and settling arrears to creditors so that it can resume borrowing again. The protests forced Mnangagwa to abandon his trip to Davos in order to address the crisis.